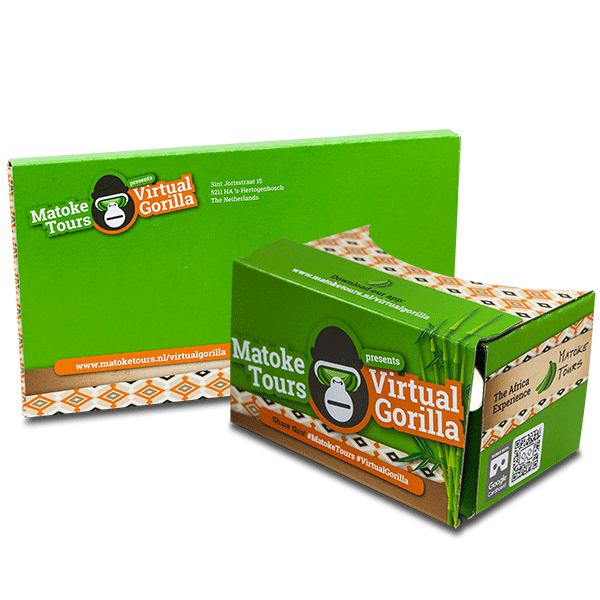 Our customer Matoke Tours brings with Google Cardboard for tourism the virtual travel to a new level. Track gorillas from your sofa with the world’s first virtual travel brochure. Put on your Google Cardboard, blinking your eyes, and starting off on a virtual trip to an exotic country in Africa, in this case, the verdant mountains and expansive plains of Uganda. You will stand eye-to-eye with the magical mountain gorillas, go on a 4WD safari, visit the most beautiful lodges, and meet Big Sam, one of our favorite guides. And all this can be done while sitting in your living room! Is this science fiction? No! It’s “Virtual Gorilla”, the world’s first virtual travel brochure. The filmmakers eventually made a full 10-day trip through Uganda to film 360-degree panoramas in several breathtaking places. The filming of the gorilla tracking included one mountain gorilla getting up close and personal. As far as we know, this was the first gorilla “selfie” in virtual reality. In addition to the gorilla tracking, visitors to the virtual travel brochure are taken on various exciting travel experiences. Accompanied by your guide Big Sam, your safari will go by land and by water and you will be able to experience the big skies of Uganda from a hot air balloon. Also, you can explore in advance the lodges where you stay and meet the friendly indigenous people of Uganda. In total there are six virtual chapters that give a comprehensive picture of the travel opportunities throughout the country. New era in the travel industry? Matoke Tours expects that with the launch of “Virtual Gorilla” a new era is dawning for the travel industry. The VR experience offers many benefits for travellers who are considering Uganda as a destination: This app enables us to convey the intensity and emotion of the travel experience before the journey has even started. Travellers are then better able to decide which excursions they want to book. In addition, as a travel provider, we can use virtual reality to highlight specific unique selling points. For example, by filming the lodges where our clients can stay overnight on their travels, as well as by introducing the tour guide (Big Sam), and by filming the 4wd transport.